The Cratloe backroom team, from left, Ronan O'Reilly, Alan Neville, Brian Lohan and manager, Joe McGrath Photograph by John Kelly. THE presence of Brian Lohan on the Cratloe training field, dressing room and sideline is one that adds solidity and steel to the Clare champions’ set-up. You get the feeling that when Lohan talks, his words are taken on board. That’s simply because of what he achieved on the hurling field and how he went about it. Many of the Cratloe players won’t remember 1995 or 1997 but what happened and Lohan’s role in that will be well known to them. More pertinently, Lohan, along with fellow coach, Alan Neville, has what everyone in Cratloe wants on Sunday, a Munster club medal.That’s a medal the Shannon man, who lives in Cratloe, says he values more now than he did in 1996, when Wolfe Tones ruled Munster. “As you live longer, it gets more important. It wasn’t that big a deal when you were playing but the longer you’re retired, the more important it becomes. It was the same when we were winning All-Irelands. It was never that big a deal when you were playing but when you’re retired, at least you know it’s something that is there. “The Cratloe lads probably think that if they don’t win it this year, they might win it the following year. In reality, you don’t get that many opportunities to win those medals. For such a good group of players, there is no point in saying you’re a great player without having the medals to back it up. That’s where the pressure comes from,” the iconic full-back feels. Cratloe’s loaded schedule isn’t something that Lohan believes is a hindrance. He played enough hurling and football for Wolfe Tones to realise that it can be done. “In Wolfe Tones we won a Munster club hurling and an intermediate football championship. We always felt that when we were going well in the football, we were going well in the hurling as well because we were super fit. “People that might be coming at it from a hurling or football only perspective might think it is difficult. I always played hurling and football. There was never an issue and I always found that they complemented each other. It was the same with Frank. That was the background that I would have grown up with,” he pointed out. 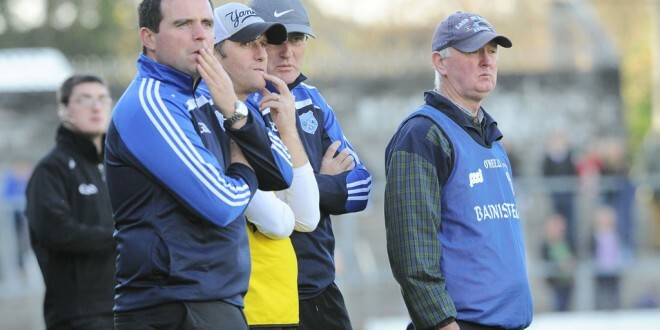 Managing the dual issue in Cratloe has been left to the respective managers in the club. 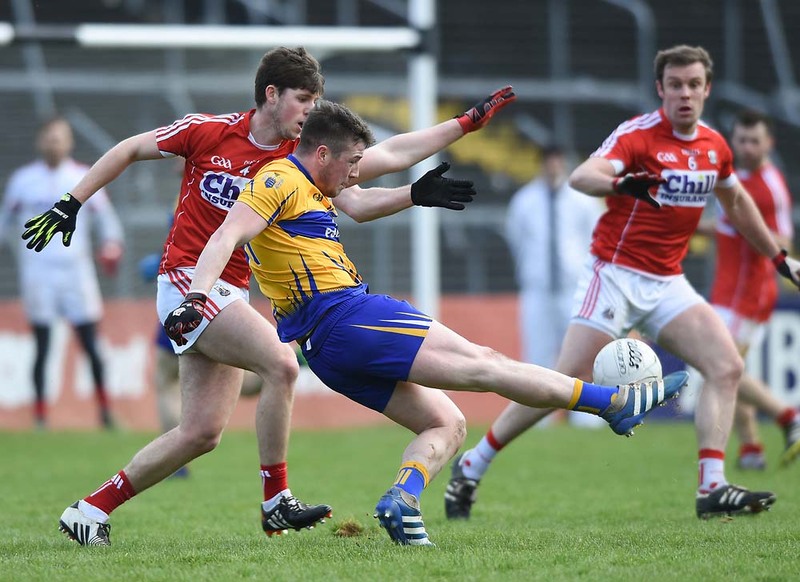 “It has been Joe McGrath and Colm Collins that have managed it. They have a good relationship. It’s a scenario where both are hugely committed to, not just their own set-up but they are committed to the other code’s set-up as well. I don’t think they have ever had a cross word. 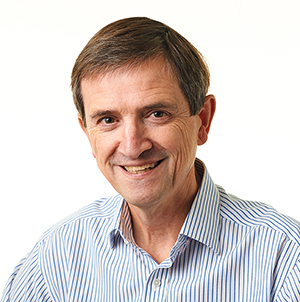 “But that only works in a scenario where you have players who are exceptionally committed. Whether it’s hurling or football, they are very committed to getting the best out of themselves. Given that you know that fitness and conditioning work is done, to get the touch right is not that big a job,” he said. It’s a cliché but the Cratloe hurlers have been taking it game by game. “What other choice have you? Each game we played we were up against it, although maybe we were a little bit more comfortable winning a couple of games than we expected. We could easily have been beaten in any of the matches right through the Clare campaign or the Munster club. You couldn’t really afford to look beyond the next game. Maybe it was a little bit different on the football side. “They were probably a little bit stronger than some of the teams they were meeting on the football side in Clare. But from a hurling perspective, I don’t think you could have planned beyond the game that you were playing because the quality of the opposition was so good,” Lohan maintained. For the second time in his career as a manager or coach, Lohan will go head-to-head with Kilmallock manager, Ger O’Loughlin. Lohan has the utmost of respect for the managerial achievements of his All-Ireland winning colleague. “That’s no surprise to me. He was a little bit older than the squad that he was with in the county set-up but he was always a very strong character and a very strong voice. I would have always thought that he would make a brilliant manager, which he has. I think circumstances went against him when he was with the county set-up. That wasn’t a reflection of where Sparrow was,” Lohan maintains. “I was involved with Patrickswell and Sparrow was involved with Adare. We played them in the quarter-final of the championship. Adare won it by a point or two,” he added. Listing off an array of Kilmallock names, Lohan clearly believes the Limerick champions will be primed and ready for Sunday. “There’s no airs or graces about those guys. They’re genuine, honest, tough, stand-up hurlers and they have got the best out of themselves. No better guy than Sparrow to get the best out of a team. He has really done a super job with them. They are hungry and they want more. They’ll really relish the prospect of the final,” he predicted. However, Lohan said Cratloe will be ready. His belief in them is deep seated. “Mentally, they are strong guys but they get that from the work that they do. That doesn’t just happen. You don’t produce it on the big day without having the work done. They have that work done. They continue to do the weights work. They do the tough stuff as well. A lot of fellas don’t do laps of the field anymore but they would if they were asked. It’s no accident that they are able to produce it. They are serious guys,” the legendary Shannon man has found.